Movement: Hand-winding 16 1/2'''ETA 6498-1, skeleton, gold-plated, 17 jewels, small second at 6h. 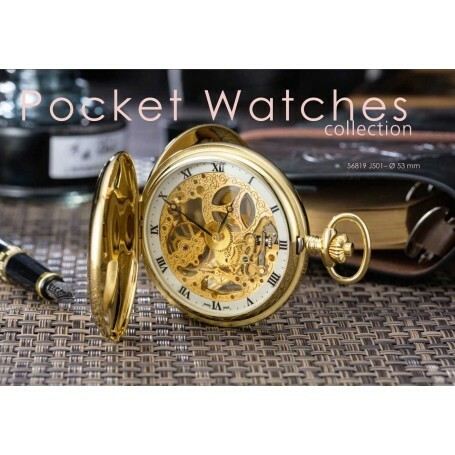 Case: Savonnette, skeleton, gold-plated 5M 2N18, double secret, diameter 53.00mm, mineral crystal. Dial: Lacquered white ring, 12 roman painted figures, steem at 3h.